Rejuvenate 528 Regenerative Aesthetics specializes in stem cell recruitment for the ultimate experience in nonsurgical aesthetic restoration for the hair, face and body. New clients are eligible for a Complimentary Consultation with a full BeautiPHIcation Analysis, Skin Analysis, LED Light Therapy. Biomat session, and a Personalized Rejuvenation Plan. 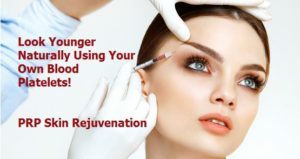 Cutting Edge Stem Cell Rejuvenation Procedures with your own PRP - Platelet Rich Plasma. A powerful blend of concentrated growth factors and recruitment of your own stem cells maximizing collagen production, rejuvenation & exponential healing potential! The Vampire rejuvenation series utilizes this revolutionary PRP technology once reserved exclusively for the stars! Learn the mathematics of BeautiPHIcation. Utilizing a pair of Golden Mean Calipers, similar to the ones used by the legendary, artistic genius Leonardo Da Vinci, we do a BeautiPHIcation analysis to expertly maximize your aesthetic potential with youthful, divine proportions and symmetry. Get a personalized treatment plan for hair to toe Rejuvenation and Restoration. Advanced Injections available for fat destruction, wrinkle reduction, volume restoration, sexual wellness, hair restoration and more! 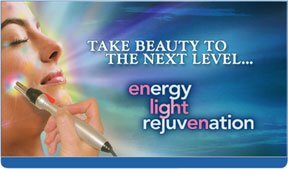 Fully customized Microcurrent Frequencies with Color Light Therapy, known as Microlight, increase cellular ATP by up to 500% for more energy and improved performance. It has been scientifically proven to decrease pain levels, optimize sleep, create emotional and hormonal balance, and is Anti-aging and regenerative to the face and body. Non-Invasive, Painless with zero downtime. In a pinch for a Unique Gift for the Holidays? Need to tell someone "Thank You! ", "Happy Birthday", or "I Love YOU"? The holidays are coming, and we have the perfect gift for that special someone... Relaxation & Rejuvenation!! 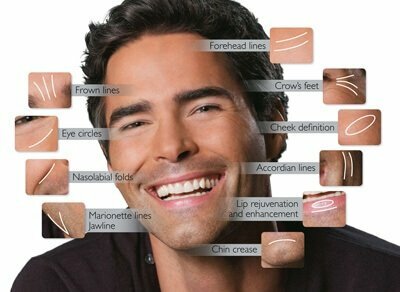 Book a BeautiPHIcation Consultation or Schedule a Treatment Today! Get close to picture perfect facial measurements with a pair of Golden Mean Calipers to find your own potential to restore balance, harmony and symmetry through Divine Proportion.